How can we keep ourselves up-to-date with the latest observations in our field, during an ordinary week? We can read blog posts or books, watch screencasts from sites like Tekpub, help other developers at Stackoverflow, or join an OSS project. All these activities require our spare time or sanctioned knowledge development, so how can we make some room for knowledge sharing within working hours? 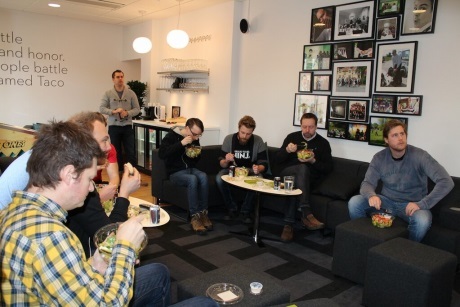 Together with our teammates, we can combine a lunch with watching a recorded seminar or talking about new findings. Hopefully we’ll continue to discuss the topic and maybe adapt some of the new things we have learned.